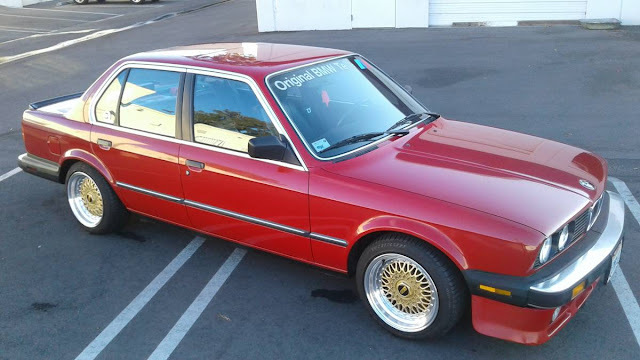 The E30 generation BMW 3-series sold in large numbers (2.5 million according to the interweb) from 1982 through 1994 in coupe, sedan, estate, & convertible trim...but you don't often find "showroom condition" examples of the 325 for any price. Find this 1987 BMW 325e offered for $5900 in Rancho Cucamonga, CA via craigslist. Tip from Rock On! 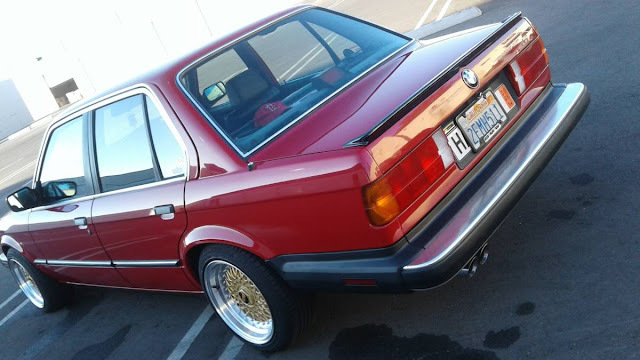 Owned by a BMW CCA member for 19 years, with original paint and interior, both in perfect condition, 2.7 L long block with Koni springs and Bilstein Shocks. Must see to appreciate. How did the automatic pass un-commented-upon? Certainly a lovely example, but I fear that my left leg would twitch all the time I owned it.